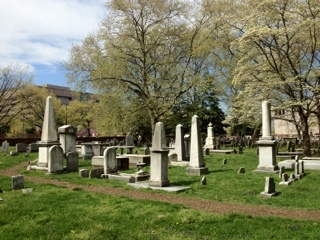 My last stop of the day was the graveyard on the corner of 5th and Arch Streets. 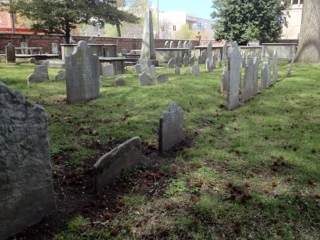 This cemetery is home to Benjamin Franklin, five signers of the Declaration of Independence, early medical pioneers (including Dr. Thomas Bond, founder of the first public hospital), and Revolutionary War heroes. 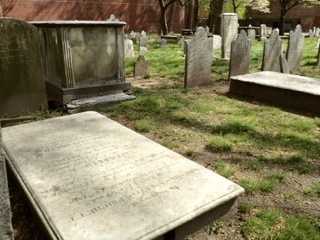 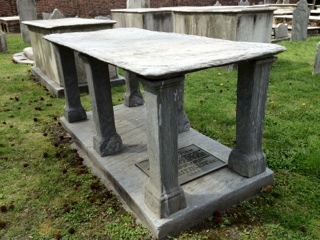 The most significant tombstones to me were Commodore William Bainbridge, Commander of Old Ironsides and Commodore Thomas Truxton, Commander of the Constellation. 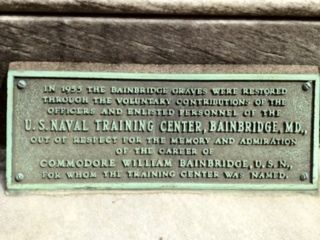 Commodore William Bainbridge (1774-1833) Known for "his bravery, chivalry, and generosity." 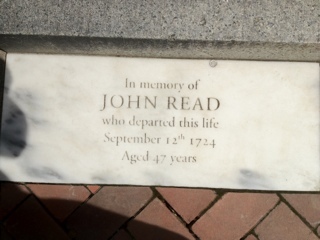 Fought the English, the French, and the Barbary pirates. 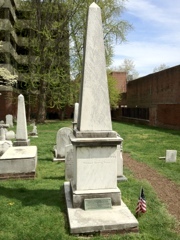 His most famous ship was the Philadelphia which was captured by Barbary pirates of Tripoli. 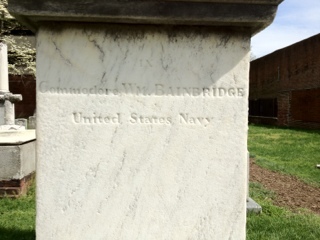 Bainbridge was held prisoner for 19 months until ransomed by President Jefferson. 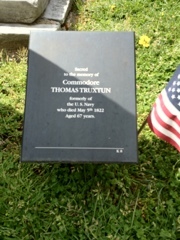 Commodore Thomas Truxtun, who you'll meet later trained Commodore Bainbridge who in turn trained Commodore James Biddle. 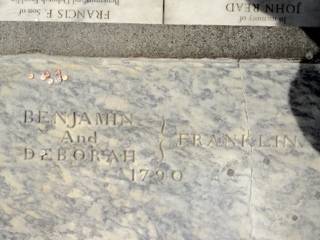 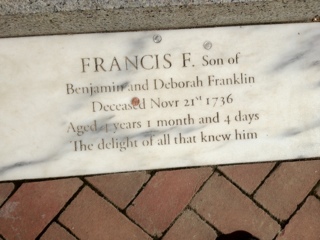 -Five Signers of the Declaration of Independence are buried here. 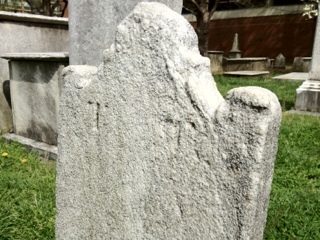 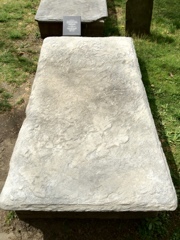 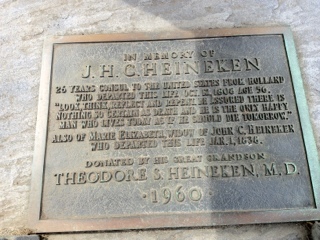 -The earliest tombstone dates from 1720. 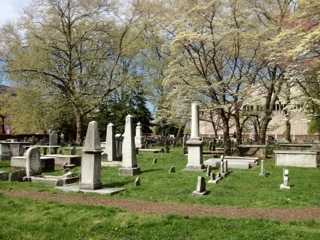 -Reopened to the public on April 26, 2003, after being closed for 25 years. 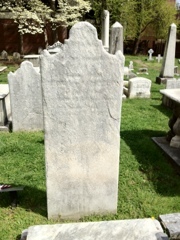 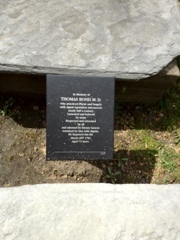 1) random headstone that t first I thought was Thomas Truxton's. 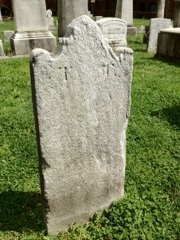 His is much smaller with "T T" inscribed. 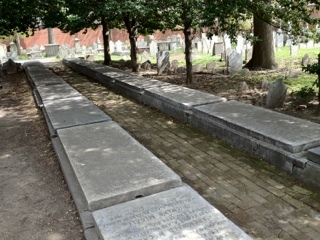 2) row of family tombs where multiple bodies lie in the same grave. 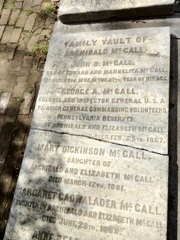 These were common then to save room and so that families would be forever together. 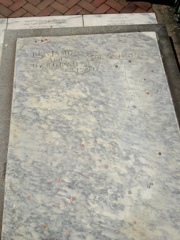 3) Commodore William Bainbridge's restoration description plate.